1. Why did DiDi cut their prices? 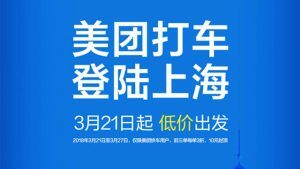 On March 21st, Meituan Taxi was officially launched in Shanghai, quickly changing the landscape of the Shanghai car sharing scene. At the 2018 China Development Forum held on the 24th of March, WANG Xing, the CEO of Meituan announced that Meituan Taxi has taken 1/3 of the market share in Shanghai, with the Meituan App being the fourth most downloaded App in the Apple Store. Therein, users and drivers are enjoying the greatest benefits as companies such as Meituan, DiDi and Yidao are all launching concessionary campaigns. In particular, Meituan and DiDi have handed out the most coupons in the market, and drivers are also enjoying various forms of subsidies as various platforms aim to attract them. A reporter from Beijing Youth Newspaper has found that Meituan and DiDi share almost the same product pricing rules and their current competitive focus is on coupons. According to numerous passengers, DiDi has recently been handing out more coupons. In our independent research we found out that by providing super attractive prices to their passengers, DiDi also doubles the amount per trip for their drivers. 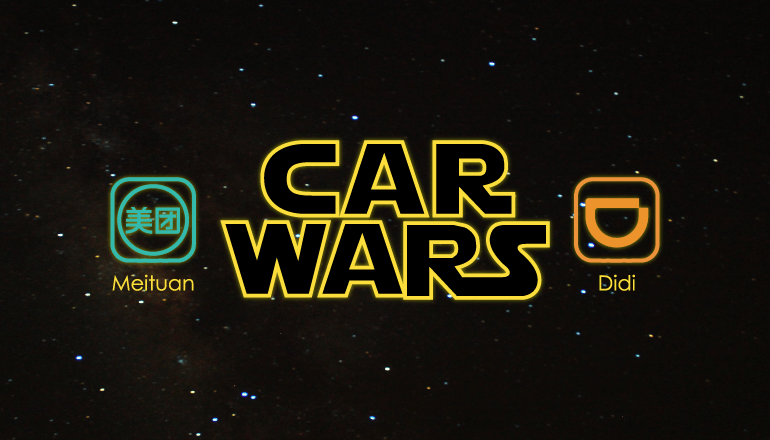 This way the drivers won’t get too attached to a rival’s new app, and the passengers will be seduced by almost free rides. We don’t know if this new pricing policy will go continue in the long run, but we, and I’m sure many others, certainly enjoyed the last 2 weeks of it! 2. Meituan Taxi… A way to prevent a DiDi monopoly? a. To look for a new growth area. There are extremely low gross profits for Meituan’s existing takeout services and little possibility of growth. The subsidy war against Ali in the movie sector has become a stalemate and Meituan has not gained much market share in the travel sectors with Ctrip and Fliggy being dominant players. Meituan has to look for a new way to gain profit, and as well as taxi services, Meituan is likely to enter into other large and upcoming consumer fields already verified by the market, such as offline retailing, second-hand cars, e-business and online education. Meituan is most likely going to expand into the second-hand car and online education market. b. To maintain high growing valuation. If Meituan wants to make further progress on their existing valuation of $30 billion, Meituan has to continuously enrich its concepts and business lines. Markets that are already verified can theoretically be promising area for growth. 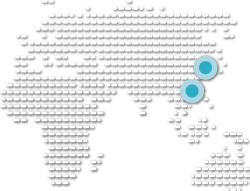 Meituan is a capital-driven enterprise. It will be appealing for investors as long as it can maintain high-speed growth. In order to achieve this, Meituan needs fresh selling points and new business lines. To a certain extent, maintaining high-speed growth is more important than spending money efficiently in the early stages of development. Taxi services have been verified as a high-frequency industry, while the takeout market is an even higher-frequency industry. Meituan, moving from a high-frequency field into relatively low-frequency field could, to some extent, be beneficial. Driven by high capital, Meituan can rapidly gain market share by offering certain subsidies. Also, existing users’ familiarity with the brand could help guarantee market share. As long as Meituan can continue offering subsidies, Meituan Taxi can eventually break “DiDi’s dominant situation” in the market and form a binary market structure. 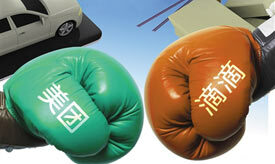 It is rather logical for Meituan to enter the taxi service market. Instead of aiming to overtake DiDi in this market, Meituan’s goal is to take up market share, as this can ensure that Meituan can maintain high valuation. Similar to JD’s positioning within the e-business sector where there are two giants, as long as the market value of Alibaba is growing, JD is merely the competitor that enjoys wide development spaces and its valuation should increase rapidly. At present, the valuation of DiDi is $57.6 billion. If Meituan Taxi can occupy a certain percentage in national taxi markets, even only 20%, Meituan can enjoy an increase of $10 billion in valuation and the overall valuation will increases by 30%. In comparison, Maoyan Movie, which gained $20 billion in valuation six years after its launch, a mature industry like taxi service is undoubtedly easier and faster for Meituan’s to increase its valuation. Even if the subsidy can no longer support Meituan Taxi, a quick sale of Meituan Taxi could earn generate a lot of money, as was the case with Maoyan Movie when it was sold to ENLIGHT MEDIA. 3. DiDi’s revenge and its entry into the food delivery market. Faced with a head-on attack from Meituan, CHENG Wei took a page out of LI Guoqing’s book, who, when dealing with LIU Qiangdong’s cross-sector entry into the book market, said that “If your competitor has lit a fire in your back yard, you shall light a fire in his as well” It seems plausible as both sides are complementing their own industrial chains and ecology. However, Meituan and DiDi share significantly different strategies. DiDi takeout is more like a defense strategy carried out in order to defend the attack of Meituan. In the interview with SONG Wei, CHENG Wei responded that “to be a diversified company is a strategic failure”. 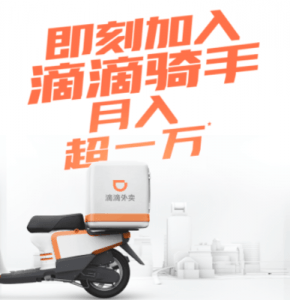 On March 6th, DiDi entered into nine second-tier cities introducing DiDi takeout. After becoming a giant in the taxi industry, DiDi has been diversifying itself across different markets. The Low gross profits in takeout services and extremely little complementarity with the DiDi taxi service are bound to slow DiDi’s performances, thus leading to extensions to its profit schedule. Based on CHENG Wei’s professional thought pattern and the size of the taxi market, DiDi takeout is purely a strategic action to counter Meituan. Those who attempt to calculate DiDi takeout valuations based on the profits of Uber Eats can have a look at the weak correlation between Uber Eats and the Uber business itself. In addition, minor high-value and delicate food platforms are bound to fail against giants such as Meituan takeout and E’LEME in China’s market. 4. Is Meituan able to compete with DiDi? Strategically, Meituan will take away parts of DiDi’s shares to some extent, but not as much as envisioned. With the continuous subsidy from DiDi, Meituan taxi might become the second choice for users and shares for both parties will remain relatively stable. In the takeout sector, DiDi’s entry into the initial market pattern formed by Meituan takeout and E’LEME is likely to make Meituan play a similar role as Baidu Takeouts, and this will slow DiDi’s revenue and future strategy. It is predicted that DiDi takeout may merge into E’LEME and continue its focus on the taxi industry after DiDi successfully pushed down the market shares of Meituan taxi.